And that’s just the tip of the iceberg. Consumers have transitioned into the world of multiscreen experiences. They’ll start a search on a smartphone, then use their tablet to find more information, and potentially transition to their laptop to make a purchase. 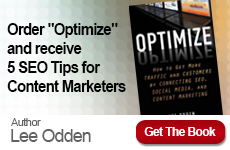 Regardless of the path they take or device they use, one thing stays the same: consumers are searching for your company online. Searchers have begun to rely heavily on social media and search to find local businesses. 97% of consumers use search to find local businesses, while 20-somethings are anywhere from twice to four times as likely to seek information and advice from social media as generations before them. 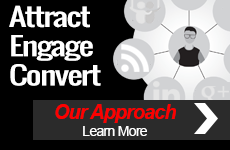 TopRank specializes in helping companies create long-term content strategies that include and build-in social amplification and engagement to provide target audiences with the information and engagement they need, when they need it and where they’re looking for it. 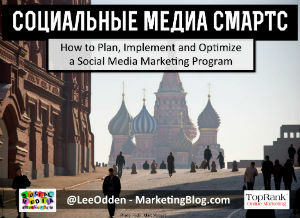 Out of all the digital marketing agencies in the world, Social Media Revolution chose TopRank to travel across the world to shed some light on using social media for business at their 3rd annual Social Media Conference. Attendees range from digital marketing and social media marketing directors to PR Directors and Corporate Communications Directors. Along the way he’s bound to meet some interesting people, try some unique foods, see beautiful places, and learn new tactics, tools and methods to help take our agency to another level. 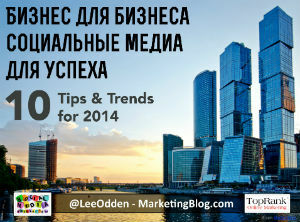 Follow Lee Odden on Twitter to hear more about his experience in Moscow this week.